Newfoundland-raised novelist Michael Winter returns to PEI with his new novel, The Architects Are Here. Winter will give a public reading on Monday, Feb. 11, at 7:30 p.m in the UPEI Faculty Lounge, Main Building. A reception and book signing will follow. Winter was born in England, grew up in Corner Brook, Nfld., and divides his time between Newfoundland and Toronto. After university, Winter started writing semi-autobiographical fiction about his family and friends and his romantic troubles, some stories set in St. John’s, others in Toronto. A recurrent main character and alter-ego, Gabe English, emerges in this early fiction and his breakthrough novel, This All Happened (2000), which won the Winterset Award and was nominated for the Rogers Writers’ Trust Fiction Prize. The Big Why (2004) was loosely based on New York artist Rockwell Kent’s sojourn in Newfoundland in the early twentieth century, and was nominated for Ontario’s Trillium Book Award and the Atlantic Book Awards’ Thomas Raddall Fiction Prize, and long-listed for the IMPAC Dublin Literary Award. Gabriel English returns in Winter’s new novel, The Architects Are Here. Gabe is drifting into middle age, settling into a domestic idyll with his girlfriend Nell, and being led into trouble by his childhood friend David, a dot.com millionaire. “I think we’re all struck by the moment we realize we are the same age our parents were when they had us. You’ve succeeded in some ways and failed in others,” says Winter about this novel and its main character. 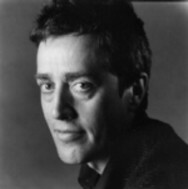 Michael Winter’s reading is part of the Winter’s Tales series sponsored by the UPEI English Department, with support from The Canada Council for the Arts.